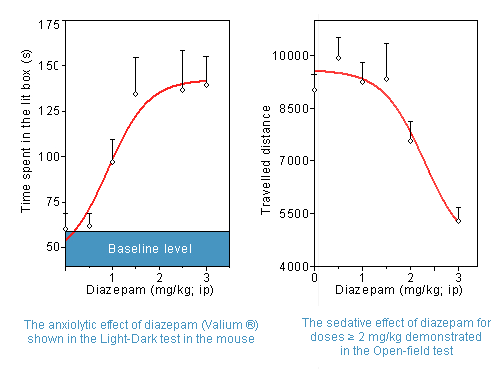 The light dark paradigm in mice is based on a conflict between the innate aversion to brightly illuminated areas and the spontaneous exploratory activity. If given a choice between a large brightly compartment versus a small dark compartment, mice spontaneously prefer the dark. Anxiolytic compounds have been found to increase the total duration of time spent there. Anxiogenic compounds are observed to work in the opposite way. 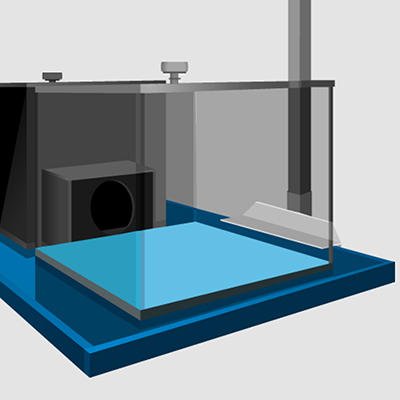 Compound testing addresses the effect of acute treatment on the total duration of time spent in the lit box. Investigation of the effect of subchronic treatment is also possible. 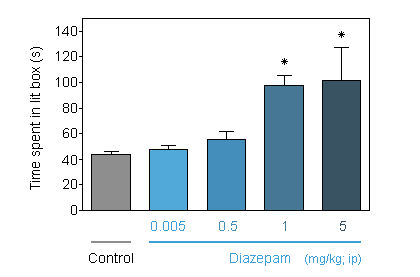 Injection of CCK-4 (cholecystokinin tetrapeptide) enhances the anxiety status of mice. 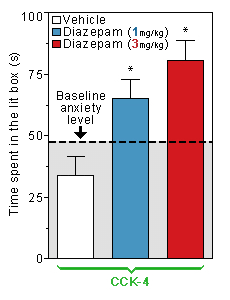 The panic effect of CCK-4 is suppressed by Diazepam treatment.